Minions In Black Tee Design Review. 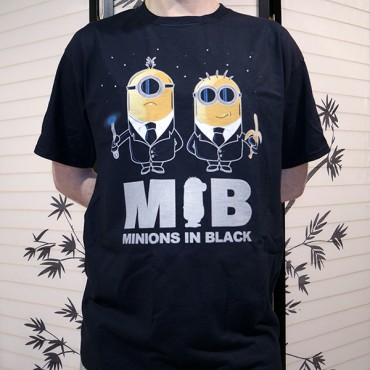 The Minions in Black tee design features a mashup of the lovable henchmen from the Despicable Me series of movies and the main characters from the Men In Black (M.I.B.) movies. 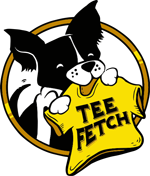 The Minions in Black tee design is for the people that have fallen head over heels for the small yellow minions in overalls from the Despicable Me movies and to lesser extent fans of the MIB or Men in Black Franchise. The concept revolves around when agents J and K wipe the memories of the people who witness extra-terrestrial encounters in the movies. The shirt sports the minions standing in the classic J and K pose where one is holding the device and the other sporting the minion’s love of bananas as a replacement. They are also wearing the iconic MIB suits worn by every agent. One of the nicer touches is definitely the minion replacing the “I” in the MIB logo at the bottom of the tee. 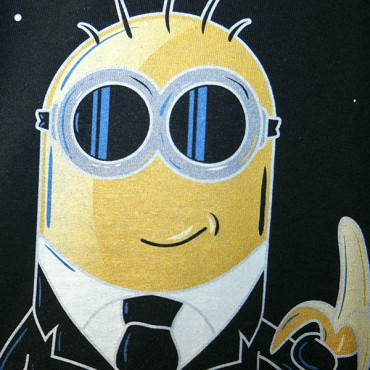 The design presents itself well on the black fabric allowing the minions to pop because of their yellow color and the white outline present around the minions allows their suits to really look crisp and sharp. 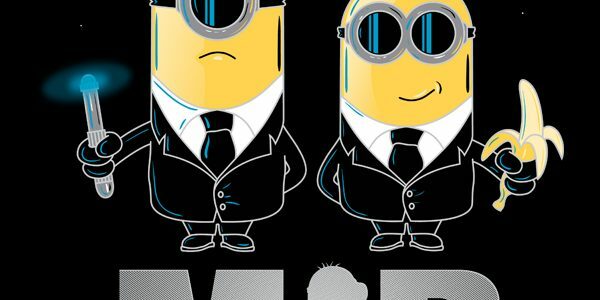 The concept is great too where one of the minions is serious and looks like a true MIB agent but the other perfectly counters it with the more silly side of the minions and the clash just makes this design work. It’s everything you would expect from a minion inspired tee. The Minions in Black tee would be the perfect gift for anyone who loves these adorable characters and as we can tell by their take over on the big screen and in merchandising is most kids and adults. 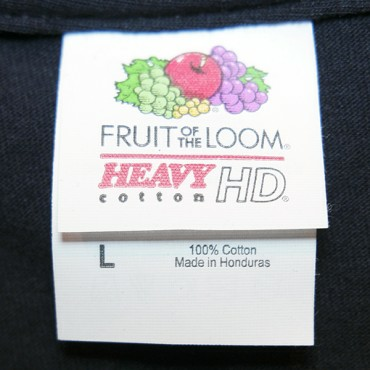 It is a good casual shirt that fits snug and comfy and would be great for lying in bed and watching TV or Netflix. Minions In Black Tee Design by Chicoloco Designs. The Winchesters In Black or WIB tee design is for the "Hunters" or fans of Supernatural and to a lesser extent fans of the MIB or Men In Black franchise. Another good supernatural design that revolves around their FBI suits that the Winchester brothers wear as they replace the J and K characters of the Men In Black movie poster. Instead of a the mind wiping device that the MIB held, Sam and Dean wield their respective demon hunting knife and trusty Colt handgun. Also, Castiel's silhouette is at the bottom of the letter "I" instead of the silhouettes of the MIB duo. As for the design, the light coloring and shading are done well. But only on Black fabric, more on this further below. As for the concept, the serious side of the characters can be seen here in this mash up. It just works. Instead of the hunters of aliens they are hunters of monsters and demons. So therefore, there is not much of a stretch. Both franchises characters dress the same and are or act as "agents". This WIB tee will make a nice gift for any fan of Sam and Dean and their fight against evil. WIB Tee Design by mannypdesign.